We haven’t done a new album post in a few months, so it’s about time we stopped and looked at what local albums have come out recently, and what’s coming up. The big gig on Thursday night is Passenger. The Let Her Go singer is playing a sold out hometown gig at the Concorde 2 (actually he’s playing two, with the second next Monday, which is also sold out). 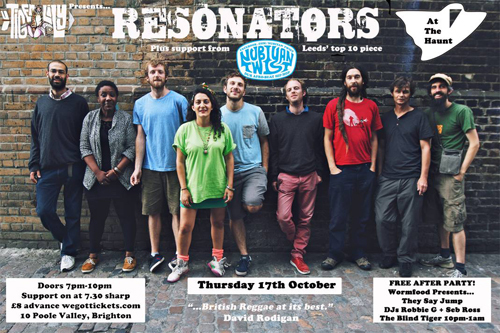 Thursday’s other gigs which caught our eye were The Resonators playing at The Haunt, and Foreign Skin supporting Jungle at Sticky Mike’s. On Friday night, Ancient Times launch their new single Nightschool at the Blind Tiger. Support comes from Shudder Pulps, Morning Smoke and Hot Glass. 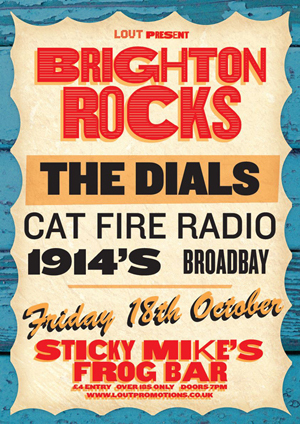 It’s also this week’s Brighton Rocks at Sticky Mike’s, with The Dials, Cat Fire Radio, 1914s and Broadbay on the line up. 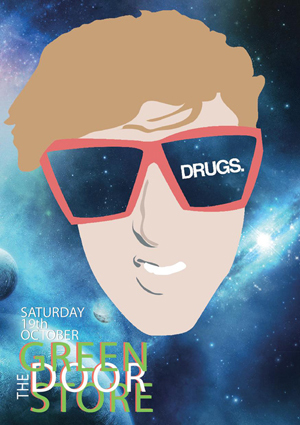 Finally, on Saturday night, regular Green Door Store night Drugs returns after a summer break with a five band line up. For less than a pound a band, you get to see Grasshopper, Twin, Bentcousin, Skirts and The Bright Ones.